Today’s young kids are tomorrow’s business leaders and startup founders. 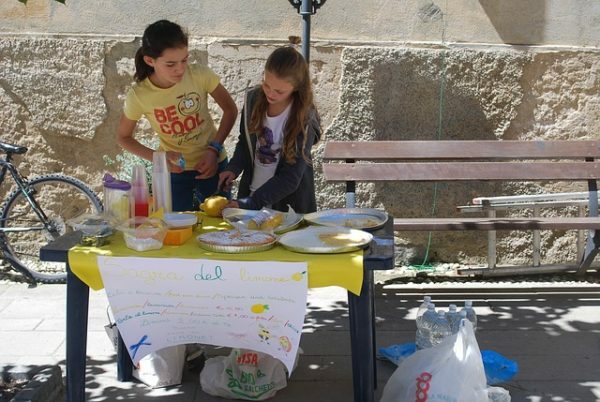 If you want to teach your kids the value of money, encourage them to start their own business at an early age. After all, grooming your offsprings to be the next Mark Zuckerberg at an early age will definitely be beneficial for them for the rest of their lives. Most successful young entrepreneurs attribute their entrepreneurial ambition and drive to their parents. This is a perfect reason why you should empower your child to create wealth and contribute to the society by launching their own business. Becoming aware of your kid’s passion is the first step in conditioning them to be a future entrepreneur. For instance, if your child is into baking, support his or her passion and open up the possibility of turning the hobby into a business venture. Allow them to pursue their passion while giving them tips to turn it into a profitable business. Most aspiring entrepreneurs end up failing in business because their parents aren’t supportive of their decision. Setting up a business is risky and it can be totally difficult at the start but these shouldn’t hinder your children from launching a business. Let them make their own decisions and support it. Perhaps you can provide a loan to help them jumpstart their business. While your kids are young, strengthen their problem-solving skills. This will prepare them in finding business ideas in everyday life. Be involved by helping them identify the problem, determine solutions, weigh the pros and cons, and select the best option. One of the essential skills of an entrepreneur is dealing with failure. This is why it’s important that you help your kids learn from their mistakes. Don’t criticize them harshly as it can take away the positive message. Instead, try to discuss how they could tackle problems differently next time. If you own a business, let your child experience how to run a business. Allow them to explore the different aspects of your business. Your child may eventually help you run the business in the future, but it is best that you also allow him or her to try something that they really want.